Metal body with nickel chrome plating. 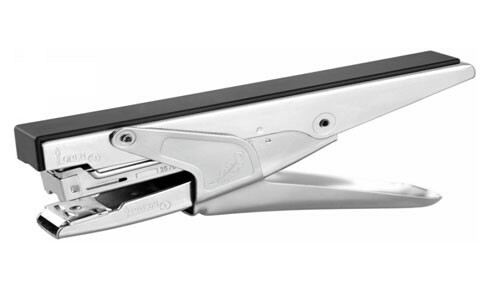 Standard Plier Stapler for use with 24/6 or 26/6 staples. Rotating anvil for stapling and pinning.